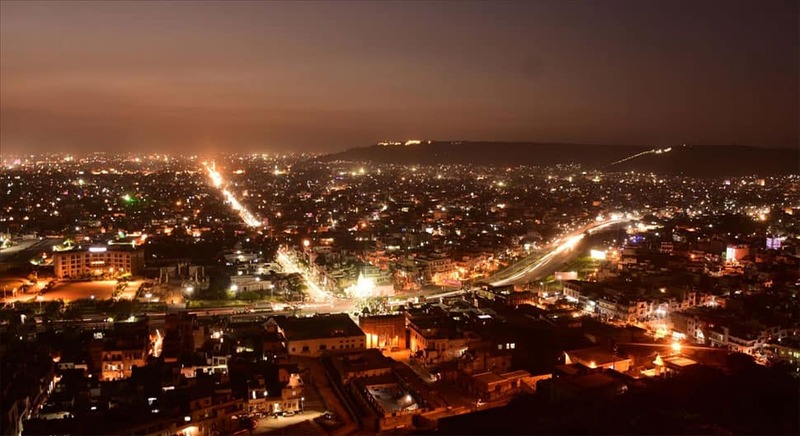 A view of an illuminated Jaipur ahead of Diwali. 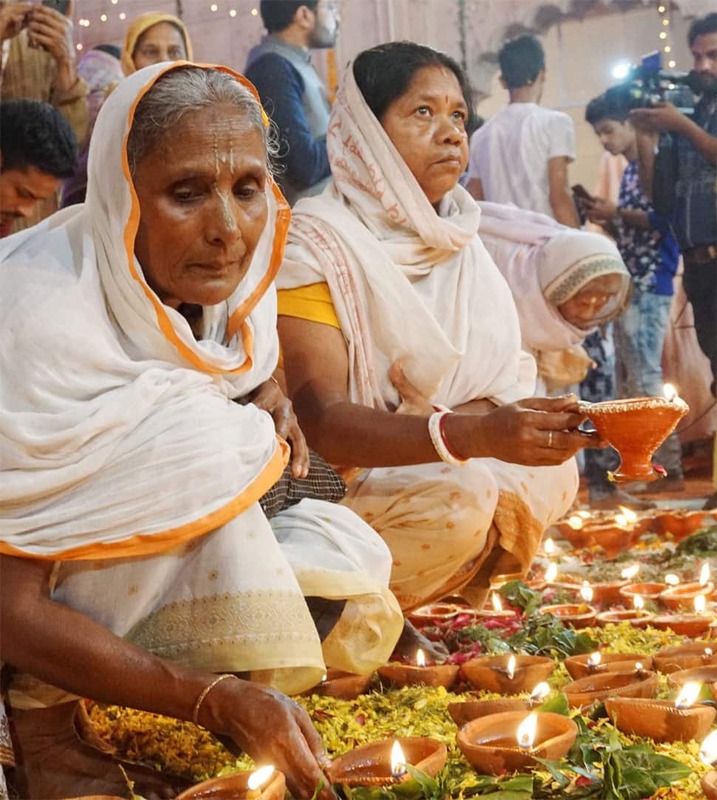 Widows celebrate Diwali at Gopinath Temple in Vrindavan. 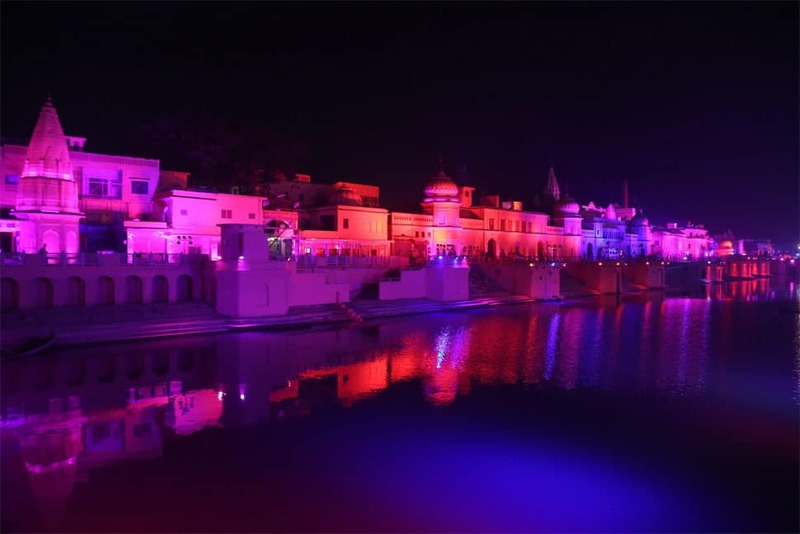 Ghats are lit on the banks of River Saryu ahead of Deepotsav in Ayodhya. 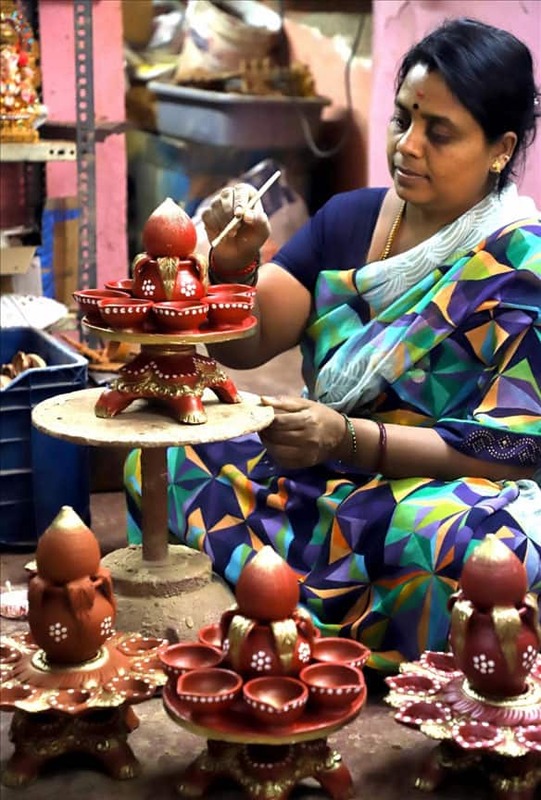 A lady paints earthen lamps ahead of 'Diwali' in Bengaluru. 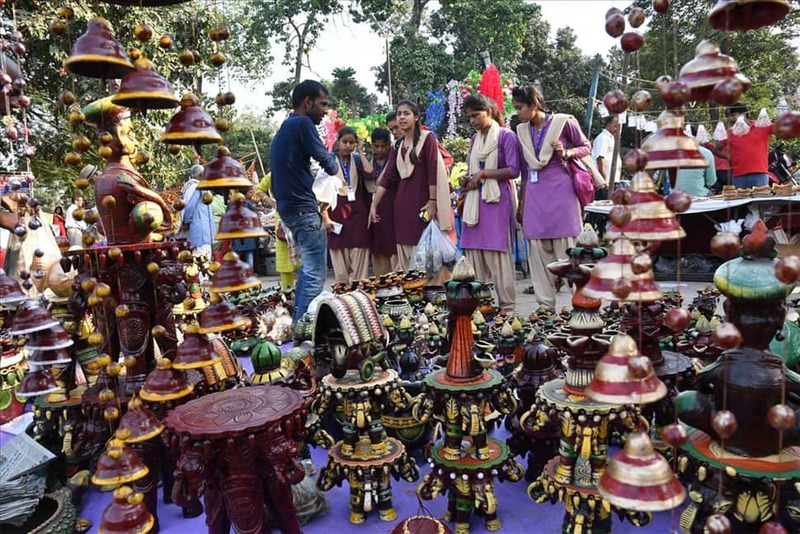 People busy buying earthen lamps ahead of Diwali in Patna. 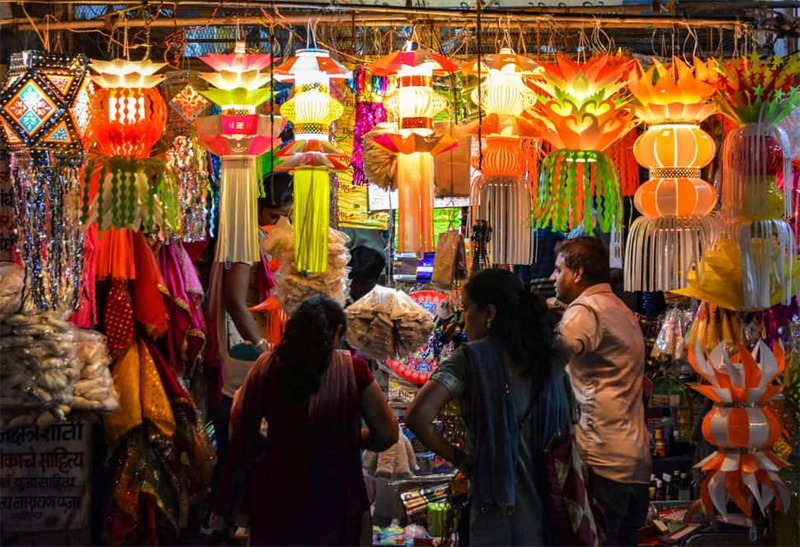 People buy decoration lamps at a shop ahead of Diwali festival in Karad. 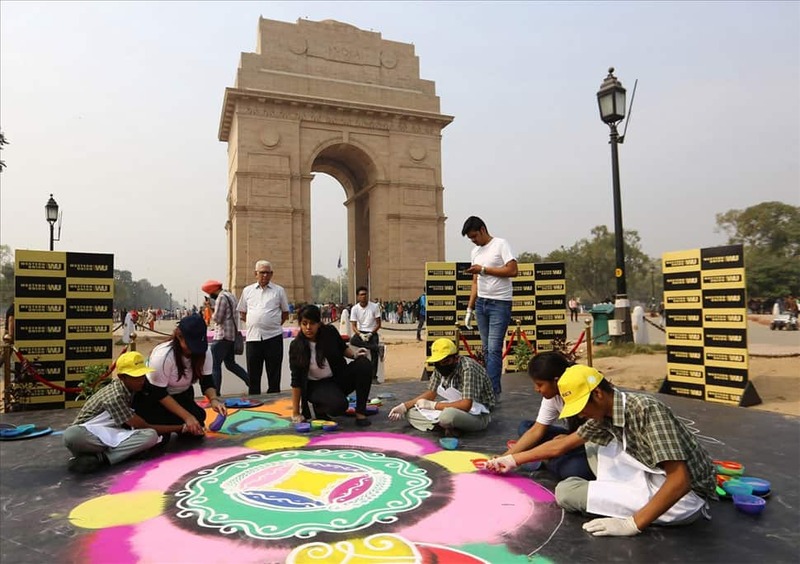 Visually impaired students make rangoli in New Delhi. 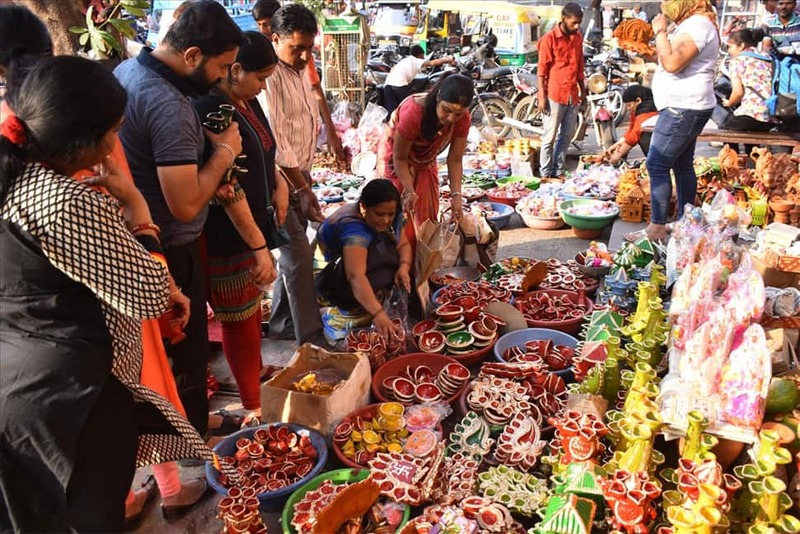 People busy shopping at a street-side market ahead of Diwali in Jaipur. 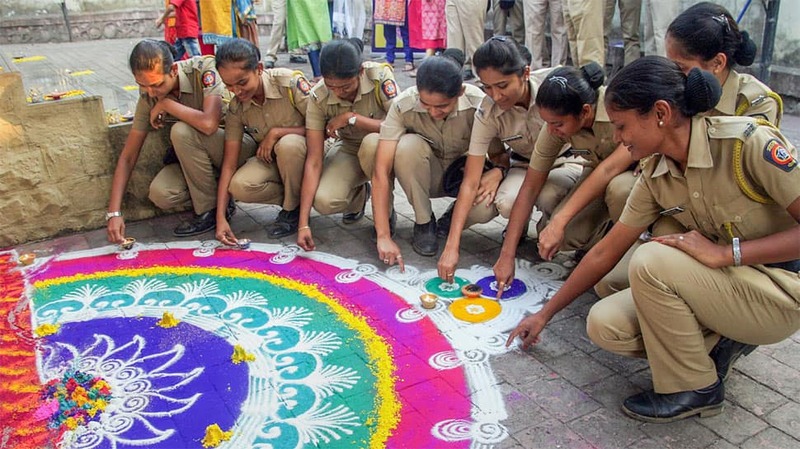 Police constables in Mumbai make a 'rangoli' ahead of Diwali. 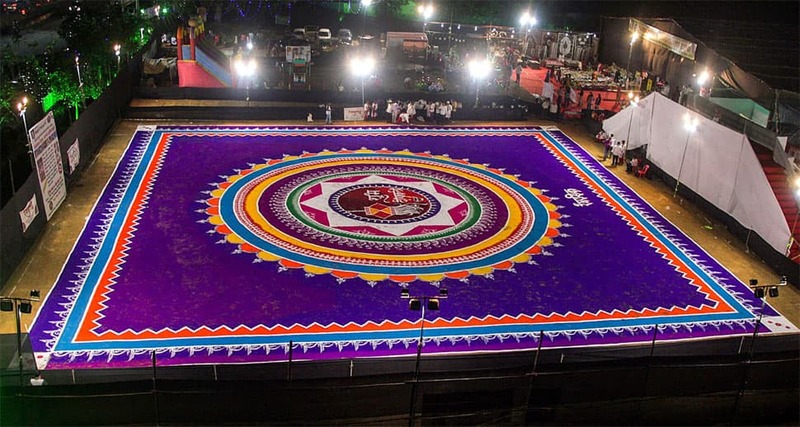 Artists create a 1000 sq ft 'rangoli' in Thane.